It's one of the most well-known effects of marijuana: the powerful surge in appetite many users feel after smoking or ingesting the drug, colloquially known as "the munchies." For medicinal users that have trouble eating due to chemotherapy, this can be one of the drug's biggest benefits. For recreational users, this benefit can also be rather enjoyable, if unkind on the waistline. But for years, scientists have struggled to understand how marijuana's active ingredient—tetrahydrocannabinol, or THC—stimulates appetite. A new study in Nature Neuroscience brings us a bit closer to solving the mystery. A team of European neuroscientists led by Giovanni Marsicano of the University of Bordeaux has found that, in mice, THC fits into receptors in the brain's olfactory bulb, significantly increasing the animals' ability to smell food and leading them to eat more of it. A big part of the reason why you might eat more food after using marijuana, the research indicates, is simply that you can smell and taste it more acutely. This effect of THC has to do with the underlying reason why the chemical affects the human brain so potently in the first place. 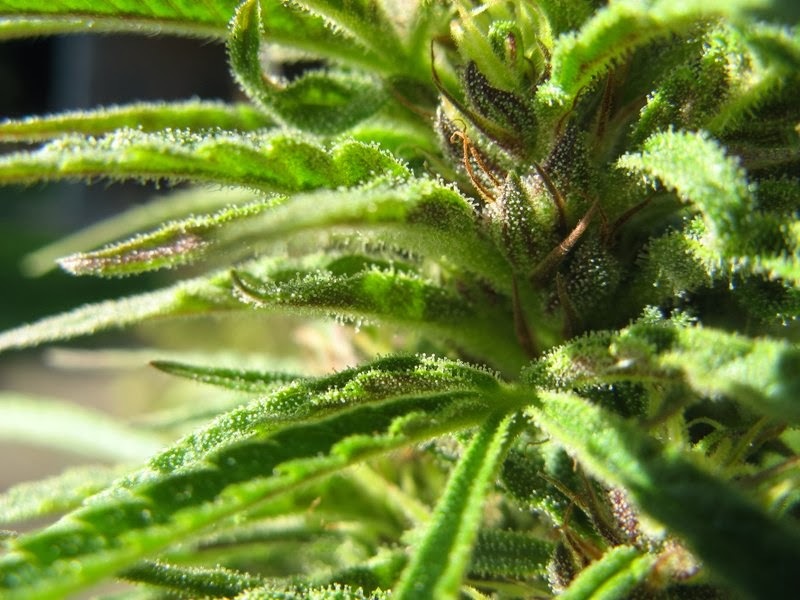 Likely produced by the marijuana plant as a self-defense against herbivores who might feel disorientated after eating the plant and avoid it in the future, THC fits into receptors that are part of the brain's natural endocannabinoid system, which helps to control emotions, memory, pain sensitivity and appetite. Our brains typically produce their own chemicals (called cannabinoids) that fit into these same receptors, so by mimicking their activity, THC can artificially alter the same factors in dramatic ways. The researchers also genetically engineered some mice to lack a type of cannabinoid receptor in their olfactory bulbs and subjected them to the same experiment. They found that even if these mice were given THC, it had no effect: They still habituated to the scent, showing that the drug's scent-enhancing powers involved activity in this region of the brain. In addition, these mice did not demonstrate an increased appetite when given the drug, showing that the "munchies" effect was dependent on olfactory lobe activity as well.